Irish Republican Army (IRA) Ceasefire The Irish Republican Army (IRA) observed a ceasefire between midnight on 22 December 1974 to midnight on 2 January 1975. The ceasefire was called to allow the British government to respond to proposals put by the IRA to Protestant clergymen on 10 December 1974. The authorities in the United States of America (USA) foiled an attempt to ship weapons to the Irish Republican Army (IRA). John McMichael, then deputy leader of the Ulster Defense Association (UDA), was killed by a booby-trap bomb planted by the Irish Republican Army (IRA). Following his death there were many accusations of collusion between senior UDA members and the IRA in the killing. [This incident was seen by many commentators as part of a process of change in the leadership of the UDA. A younger group of men were to assume the leadership of the organisation and were to introduce a change in the tactics of the UDA. It was announced that, despite the European Court of Human Rights ruling on detention (on 29 November 1988), Britain would retain a seven-day detention period. The European Community announced a £100 million grant for transportation in Northern Ireland. Gerry Adams, then President of Sinn Féin (SF), replied to a speech made by Patrick Mayhew, then Secretary of State for Northern Ireland, on 16 December 1992. Adams proposed a United Nations (UN) and European Community (EC) role in finding a political solution. He also said that SF’s exclusion from political talks was undemocratic. John Major, then British Prime Minister, travelled to Northern Ireland and held a series of meetings with the leaders of the main constitutional parties. Ulster Marketing Surveys carried out a poll of opinion in Northern Ireland on the Downing Street Declaration. The poll was conducted on behalf of Independent Television News (ITN). Of those questioned 56 per cent said that they were in favour of the declaration. Catholic Man Killed by Loyalists Noel Lyness (47), a Catholic civilian, was found beaten to death in an entry, off Ebor Street, Village, Belfast. Lyness who was a mature student at Queen’s University Belfast was the victim of a sectarian attack and had been killed by Loyalists but no paramilitary group claimed responsibility. The British government granted Christmas parole to 97 paramilitary prisoners. In the Republic of Ireland 30 paramilitary prisoners were granted Christmas parole and a further nine prisoners were given early releases. 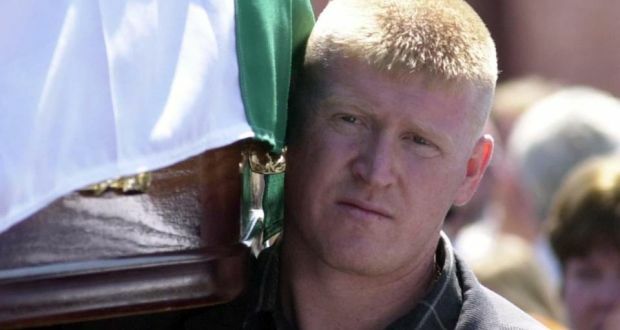 Eddie Copeland, a senior republican figure, was injured when a bomb exploded below his car in the Ardoyne area of Belfast. The Ulster Freedom Fighters (UFF) were thought to be responsible for the attack. Bertie Ahern, then Taoiseach (Irish Prime Minister), had talks with Bill Clinton, then President of the United States of America, while on a visit to Washington. Clinton said that he was encouraged by the way the multi-party talks were progressing. Peter Mandelson, then Secretary of State for Northern Ireland, published a paper which set out the British government’s strategy for achieving “normal security and policing”. Off duty. Killed by booby trap bomb attached to his car, outside his home, Curragh Road, Maghera, County Derry. Off duty. Shot by sniper while driving his car near Glaslough, County Monaghan. Killed by booby trap bomb attached to his car outside his home, Hilden Court, Hilden, Lisburn, County Antrim.